Fast-forward to today, when you are likely to rely on a smartphone or other handheld device (an iPhone, iPod Touch, BlackBerry, Windows Mobile or Android device, to name a few possibilities) plus multiple computers (desktop at home, laptop at work, netbook on the road, for example) for accessing and managing your personal data. And depending on your job or school, you may find yourself needing to access some of your personal information through a publicly accessible Web service. While broad and instant access to your e-mail, contacts, meetings and notes can be incredibly advantageous, it presents some challenges — particularly if you need to add or edit contacts, notes or appointments on the go — because you need to ensure that all of your sources for information are accurate and current and contain the same set of data. One way to manage this data syncing is with cloud-based services, where an Internet server acts as a central repository and gateway to your information. A key part of achieving the dream of accurate and reliable information syncing is choosing the right service for your habits, your mobile devices, your particular mix of computers and the applications you use on them. To help you choose, I’ve compiled information on six common Internet-based data-syncing options, complete with a summary of their strengths, weaknesses and which platforms and tools they work with. I’ve covered four free services — Google, Microsoft’s Windows Live, Yahoo Mail and Plaxo — and two paid services, Apple’s MobileMe and hosted Microsoft Exchange. Now there’s no excuse not to have your e-mail, contacts, appointments and notes updated across all of your devices. Let’s start off with the free services: Google, Windows Live, Yahoo Mail and Plaxo. A giant of Web-based services, Google provides a number of online applications and suites, including Gmail, Google Talk, Google Docs and Google Calendar. Gmail and Google Talk also incorporate contacts as part of their combined services. All of these services can be accessed online from almost any computing or mobile platform (though some devices, such as the iPhone, allow just read-only viewing of some features such as Google Docs), which means that not only does Google function as a sync solution, but it can also serve as a stand-alone Web-based application suite — or you can use a combination of both approaches. If you want to stick with your own applications, it’s possible to sync them with various Google applications. Google Calendar, for example, supports sync with Microsoft Outlook via a free tool called Google Calendar Sync; it also uses the CalDAV calendaring and scheduling client/server protocol to sync with Apple’s iCal, Mozilla Sunbird and other CalDAV clients. Be forewarned that some setup is required, and the process is not always intuitive for novice users — particularly those trying to sync Apple’s iCal. Mac users seeking easier integration might want to consider third-party tools for integrating calendars between iCal and Google, such as Spanning Sync ($25/year or $65 for indefinite use) or BusySync ($25, with bulk discounts available). Thankfully, the Address Book in Mac OS X 10.5.3 and higher offers native sync support for contacts with Gmail — meaning no additional tools are required. Google Apps Sync for Microsoft Outlook is a tool that syncs all personal information between Outlook and Google’s services. It requires a Google Apps Premier Edition or Education Edition account and is designed for businesses shifting from Microsoft Exchange to Google Apps, not for consumers. A similar tool called Google Apps Migration for Lotus Notes helps businesses shift from Notes to Google Apps. Goosync, a server-based solution that supports syncing of calendars, contacts and tasks (note: although pricing for Goosync is in British pounds, the service is available to U.S. customers; exact pricing varies depending on current currency-conversion rates). 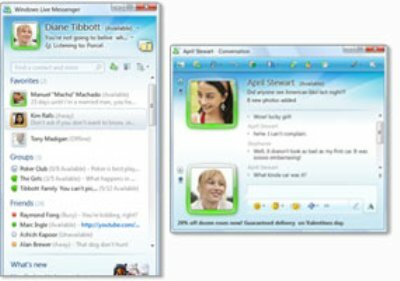 SynContact, free software that syncs only contacts. With Google’s recent addition of support for Microsoft ActiveSync for mobile devices, you can also now sync an iPhone, iPod Touch or Windows Mobile device to your Google Contacts and Calendar. Because ActiveSync is natively supported on these devices, there is no additional software to install, though there are limitations when it comes to the number of calendars that Google will allow you to sync. If you are using a BlackBerry, you can download a sync tool from Google to accomplish similar tasks. Another option that offers support for a somewhat broader range of devices is NuevaSync (currently free while in beta), which relies on ActiveSync to integrate support for Google Contacts and Calendars with the iPhone, iPod Touch or Windows Mobile devices, as well as Nokia-branded smartphones and a number of Palm OS devices. In addition, NuevaSync will sync devices with Plaxo, a social networking integration service that we’ll discuss later in the article. A word of caution: In general, be aware that Google’s very broad range of sync options can become too much of a good thing. If you sync between a very large number of different devices and computers — as well as make changes to your personal data via Google’s Web site — you can encounter sync conflicts and confusion when the same set of data is not synced to every device. Finally, while not directly related to sync capabilities, it’s worth noting that your Google Calendar information can be shared with other Google Calendar users and that you can easily subscribe to a number of other event calendars. Both of those options expand your ability to collaborate using Google’s offerings. Windows Live is a combination of free services from Microsoft that includes e-mail (Hotmail), online storage (SkyDrive), calendaring, messaging (MSN/Windows Live Messenger), photo sharing and editing, and online search and collaboration tools. Windows Live is designed to serve as a central hub for all those online activities, either directly through the Web or via a Windows-based PC. Hotmail (rebranded as Windows Live Hotmail) also offers the ability to integrate e-mail from third-party providers that offer POP access (including most ISPs). On the mobile side, Windows Live at this point primarily supports access from Windows Mobile devices, though support for some features via BlackBerry and other mobile phones is included. (There is no specific support for the iPhone or the iPod Touch). Support for the iCalendar standard is included, which allows Outlook, Apple’s iCal, Google Calendar and most other modern calendaring applications to accept event invitations received by e-mail. It does not, however, offer direct sync with other tools via the iCalendar standard. Yahoo Mail is one of the older Web-based e-mail services on the Internet. As part of its suite, Yahoo includes contacts, calendar and notes features built into the Yahoo Mail interface. Yahoo has always relied primarily on a Web interface (and a fairly basic one at that) for these services. The company doesn’t offer POP or IMAP access to e-mail via an e-mail application on a computer except as a paid add-on or through the use of third-party tools for Outlook, Outlook Express and Mac OS X’s Mail. While the lack of direct e-mail client support is a problem for some users, a Yahoo application called Yahoo Autosync for Windows allows you to sync other data, including contacts, calendars and notes, with Outlook, Outlook Express and Palm Desktop. As with Google, Mac users can rely on Address Book itself to sync contacts with Yahoo. Such synced data can then be synced from the computer to a mobile device, though direct access isn’t available. Overall, Yahoo represents a decent solution for many people — particularly those who rely primarily on Web-based interaction and/or don’t need over-the-air syncing with mobile devices. The service is somewhat stronger for Windows users; Yahoo’s tools provide more advanced sync capabilities for Windows than they do for Mac or Linux. Plaxo is a free service that is, at this point, largely focused on integrating a diverse range of social networks (including Facebook, Flickr, Delicious, Digg, YouTube, MySpace and a variety of blogging tools) into a single interface. Although Plaxo is primarily designed as a content aggregation service and social network in its own right, it also includes contacts and calendar tools that can sync with Yahoo and Google services. It can also sync contact and calendar data automatically with Outlook and Outlook Express on Windows or with Address Book and iCal on Mac OS X through the use of additional tools, which are free. Also available is a tool that lets Windows users know when social-networking-related information changes. On the mobile front, Plaxo doesn’t directly support sync to the iPhone (though the service does provide a Web interface that is optimized for the iPhone’s Safari browser) or BlackBerry, but it does offer a Windows Mobile application that can directly sync contacts and calendars with Windows Mobile phones. If you’re already in the market for a tool that lets you manage your social networking accounts, and if you would welcome the added bonus of being able to integrate them with contact and calendar systems, then Plaxo is a choice well worth considering. For sync options alone, however, you might be better off with another tool. Next let’s explore two options that you have to pay for: Apple’s MobileMe and hosted Microsoft Exchange services. Apple’s MobileMe offers a hosted e-mail account (which includes push e-mail support for iPhone and iPod Touch users), online storage space and data-sync services for $99 a year. As you might expect, MobileMe is largely geared toward Mac and iPhone or iPod Touch users. The service allows syncing of contacts and calendars across multiple Macs (via Address Book and iCal) and PCs (via Outlook and Outlook Express with the addition of a MobileMe applet for the Windows XP/Vista Control Panel). It also supports over-the-air sync (via Wi-Fi or 3G) of such information with the iPhone and the iPod Touch. MobileMe also includes a sophisticated Web interface for all the MobileMe applications, including e-mail, contacts, calendar, online photo albums and movie galleries, and iDisk storage space. For Mac users, MobileMe provides some additional features. It allows syncing of not just typical personal data, but optionally of some Mac OS X configuration data, including bookmarks, system settings, encrypted password data (known as Keychains), e-mail accounts and Dashboard widgets. In effect, it allows Mac users to automatically keep two or more Macs essentially identical in configuration. MobileMe also includes a feature called Back to My Mac that allows Mac users to access their computers remotely from any other Mac connected to the Internet, with no need to manually configure connections for file sharing or screen sharing. For iPhone users, the service also sports a new feature called Find My iPhone as part of the new iPhone OS 3. This feature uses the iPhone’s GPS capabilities to locate a lost or stolen iPhone and present the location to the user on a map using the MobileMe Web site. It can also be used to remotely wipe all data from a lost or stolen device or to play a sound and/or display a message on your iPhone (which is helpful if the device is simply lost in your home, car or office). Despite some early birth pangs with MobileMe when the service launched alongside the iPhone 3G last summer, Apple has since made multiple upgrades to the service and largely appears to have resolved many of the issues that plagued its introduction. Microsoft’s Exchange Server, which incorporates the ActiveSync data syncing technology, is one of the business world’s most widely deployed systems for centrally managing contacts, calendars, notes, e-mail and other collaborative tools. Exchange integrates with Outlook to provide several syncing features to Windows users. It can be accessed from a wide variety of mobile devices with push functionality for immediate sync and notification; it provides a Web interface in the form of Outlook Web Access; and it can even be synced with Mac OS X’s Address Book and Microsoft’s Entourage for contacts, calendars and notes, as well as for e-mail access. While Exchange may seem like the Holy Grail of sync and collaboration for large enterprises, it appeals less to individuals and small businesses because it requires a fair amount of infrastructure and licensing to implement. That’s where Exchange hosted services come in. Available from many different providers, hosted Exchange services give you all the features and benefits of Exchange (from the desktop, Web and mobile device levels) including push notification for new e-mail and updates to synced data, for a monthly fee (typically around $10 to $15 per month for a single user, and most providers offer package plans for multiple users). The provider handles the hosting and support issues for you.All of this makes hosted Exchange an option worth exploring, particularly if you’re an individual or small business user of Windows and the Microsoft Office suite. However, the ubiquity of Exchange support in mobile devices (including the iPhone) can make this an appealing solution even beyond Windows-only users. In this guide, I’ve looked at several syncing systems — from free to paid, from consumer to business. While each offers similar capabilities for keeping your e-mail, contacts, calendars and personal information organized and up to date across multiple computers and mobile devices, each also offers its own set of features and drawbacks. No single solution is right for everyone. The key to finding the best option is to look at the computing and mobile platforms you use, examine the additional features each service offers, and then try out the interfaces available and see which one fits your needs and work habits the best. Good luck and get syncing.